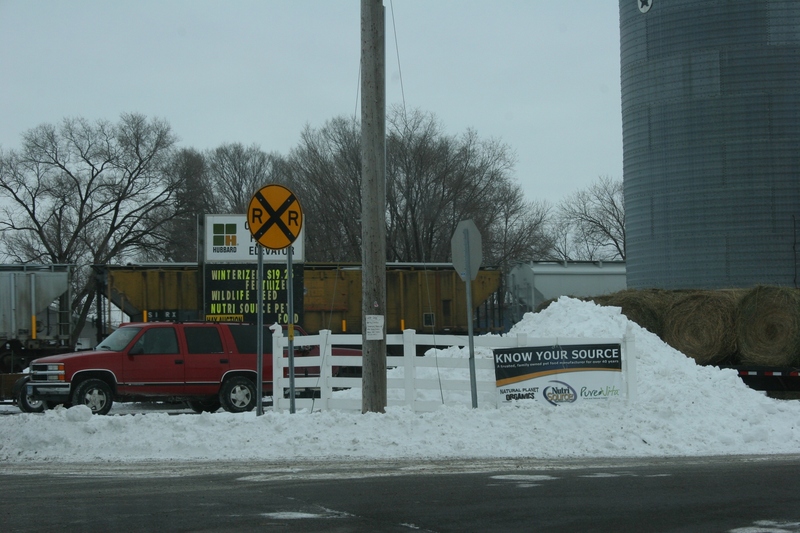 I shot this image while waiting for a train by the Clear Lake Farmer's Elevator. HEY, DO YOU ENJOY attending auctions? Ever heard of a consignment hay auction? I hadn’t either, until Saturday morning when my family drove through Clear Lake en route to St. Cloud. 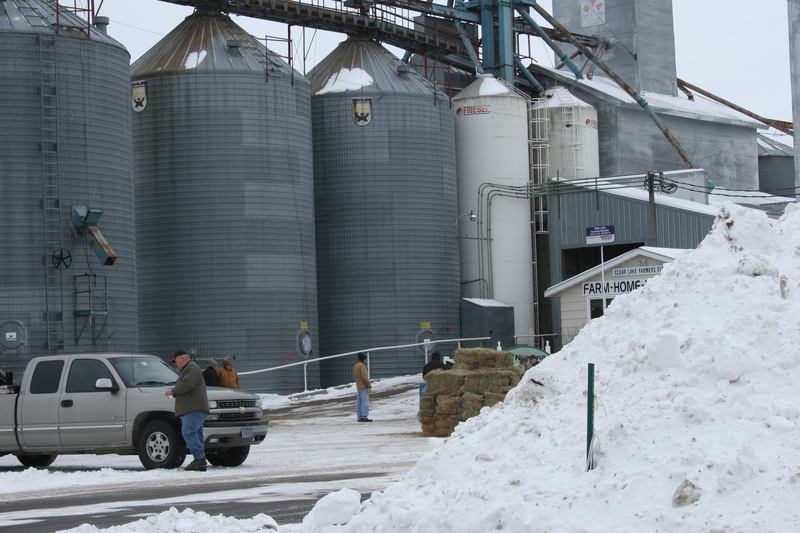 We were waiting for a train to pass through town when I noticed pick-up trucks parked near the Clear Lake Farmer’s Elevator and some guys loitering next to a stack of hay. My husband quickly spied the hay auction sign to his left. I quickly pulled out my camera because I recognized this small-town occurrence as something worth photographing, but which likely never has been photographed. The whole scene had a Garrison Keillor quality about it, almost like we’d driven up to the Lake Wobegon Farmer’s Elevator. It was something about the starkness and grayness of the setting, the way the men stood, the rural feel of the whole place that drew me in and kept me clicking the camera shutter. A snow pile blocked my view of the hay auction until we inched forward. 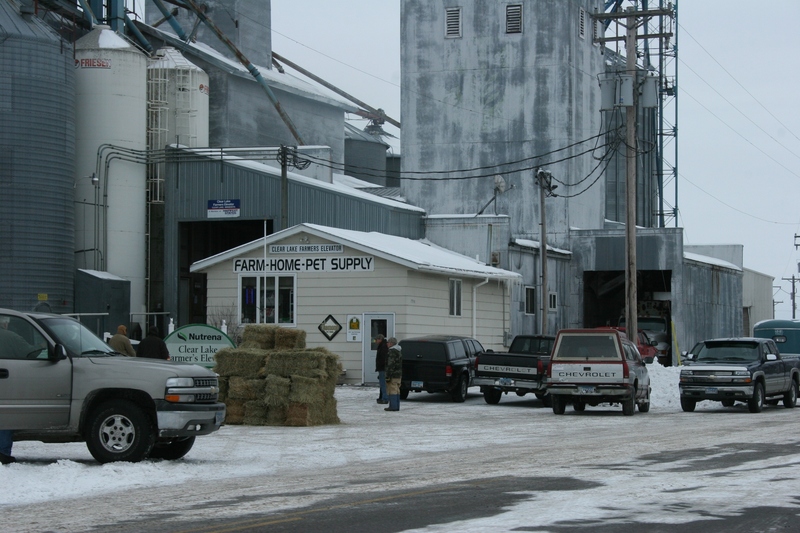 On the third Saturday of each month, October - April, the Clear Lake Farmer's Elevator holds a consignment hay auction beginning at 10:30 a.m. The elevator is just off U.S. Highway 10 in Clear Lake southeast of St. Cloud. When I saw the photos, I was pleased as punch with the results. Capturing snippets of small-town Minnesota life like this reconnects me to my rural roots and, in some small way, preserves an important part of our agricultural history. Small square grass bales sold for $2.25 - $3.20 bale at Saturday's auction, according to online auction results. Round grass mix bales sold for $39 each. "We still have people asking for straw and bags of ear corn to feed birds, etc.," the online auction info reads. 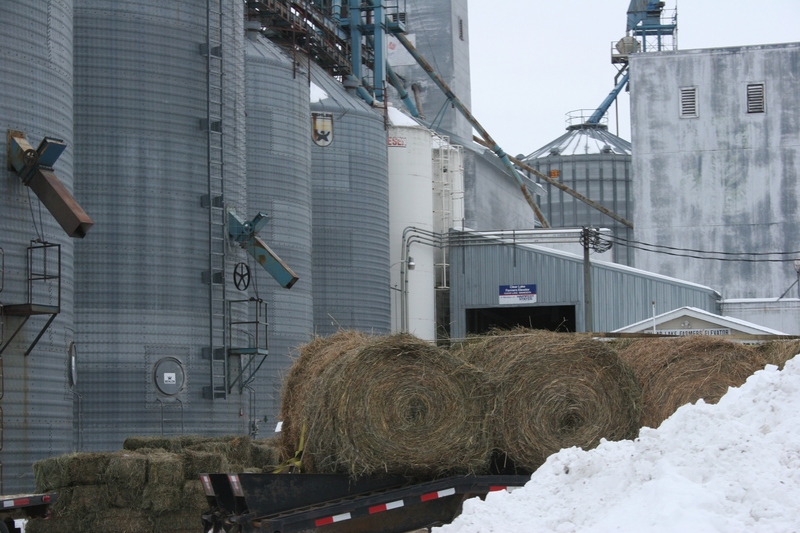 Windom has a hay auction every Saturday (unless it’s a holiday then it is on Friday) and typically gets 20 to 30 loads a week year round. I figured hay auctions are likely common in rural Minnesota. But I live in Faribault, which is definitely more urban than rural (by my Minnesota Prairie Roots standards). 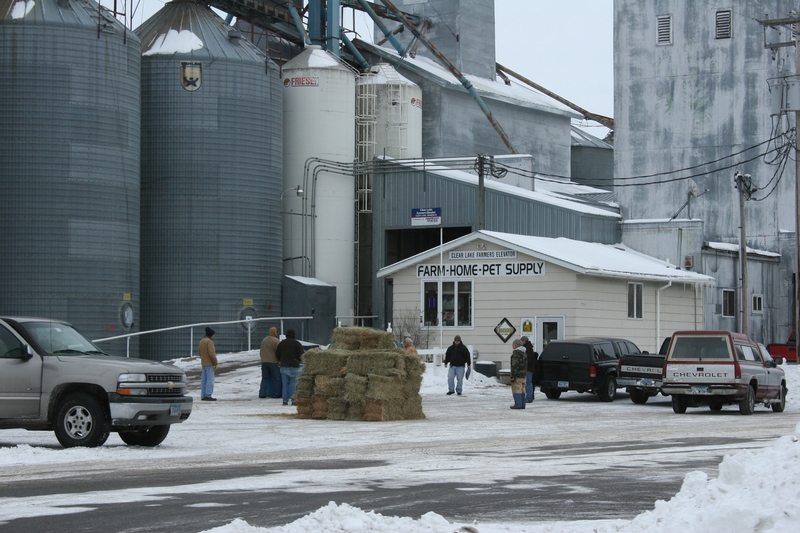 We don’t even have an elevator in town, let alone a place where farmers would gather for a hay auction. Thanks for the tip on the Windom hay auction. That’s a lot of hay going on the auction block weekly. Who are the buyers, I wonder?